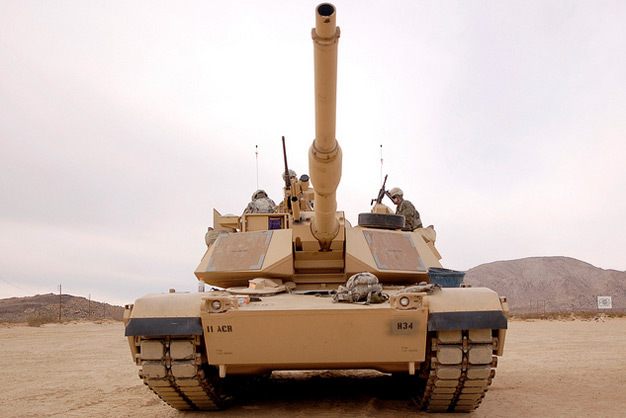 US soldiers from 2nd Squadron, 11th Armored Cavalry Regiment perform maintenance on their tank on Fort Irwin, Calif., February 20, 2012. Photo by US Army Sgt. Zachary A. Gardner, 11th Armored Cavalry Regiment Public Affairs Office.